The origin of commercial haunted attractions started in the United States and thrives as an American tradition. America Haunts, the commercial haunt industry association, has named the best haunted houses by feature on the bucket list of “must-experience” attractions across America. No bones about it – haunted attractions must enlist high tech, and be extreme in the sense to do what has never been done, to craft adrenaline-rushing fright for fun. 2018 TOP 5 BEST HAUNTED ATTRACTIONS IN THE UNITED STATES – It takes wicked ingenuity to entertain using fierce storylines, advanced costuming, seemingly perilous leaps by cast, and responsive animatronics. Bennett’s Curse Baltimore, Maryland: A legendary haunt famous for its themed and immersive experiences that are as unique as they are terrifying. Monster Fest showcases an unrivaled scare cast. Go from the classic horrors in Legends of Halloween to the epic scale of Underworld, the immersive world of Inferno 3D, and Ravenbrook Asylum. Spooky World Litchfield, New Hampshire: Visitors feel the unsettling reality of five frightful attractions in their trail of terror to Nightmare New England and the mile-long Haunted Hayride. A Monster Midway, zombie paintball, go-karts, tarot card readers, and fire-pits make fear fun. Erebus Pontiac, Michigan: This world-renowned four-story fortress of fear provokes blood-curdling screams throughout its half mile walk indoors. Its intense special effects and elaborate sets feature things that will grab, bite, land on top of its victims, and even bury them alive! Haunted Hayride and Bates Motel Haunted House Philadelphia, Pennsylvania: An incredible display of terror and mayhem awaits those who enter. A creepy sixth-sense of being watched is ever-present with peering animatronic props and a 20-foot tall rock monster. 13th Floor Haunted House Denver, Colorado: Legends and nightmares alike will come to life with a gut-wrenching ride to untold nightmares 13 floors straight down. Cast stunts use technology to amp scares. 2018 TOP 5 SCARIEST HAUNTED ATTRACTIONS – These attractions go to great lengths to make the scares bigger, more immersive, and bolder. Haunted Hotel San Diego, California: The Haunted Hotel sends visitors on a stroll down a dark, zombie-infested alley where, unlike the walking dead of Hollywood, the undead are in hot pursuit. The apocalyptic nightmare hearkens sea creatures and beasts from all directions. Headless Horseman Hayrides and Haunted Houses Ulster Park, New York: Encompassing 65 acres in the historic Hudson Valley, this mega haunted attraction has seemingly endless options with 375 cast and crew members to work the hayrides, corn maze, and ten haunted attractions. 13th Floor Haunted House Phoenix, Arizona: This intense, graphic, theatrical show takes the courageous on a gut-wrenching journey of visceral thrills and psychological horror. In the chaos, walls close in, floors shake and vibrate – and zombies swarm. Nightmare on 13th Haunted House Salt Lake City, Utah: There are no stones unturned to frighten at this haunted attraction. With 45 different rooms, including the Ossuary and the Bone Lord, Goblin mines and X-scream attraction creating fright is certain. Dent Schoolhouse Haunted House Cincinnati, Ohio: Guests walk through the spooky old schoolhouse and, with advanced projection mapping technology deployed, this haunt can make picture frames and statues appear eerily alive. 2018 TOP 4 EXTREME HAUNTED ATTRACTIONS – Extreme haunts strive to create a sensory overload through unique mix of scare entertainment visitors will not find elsewhere. Spookywoods High Point, North Carolina: Taking the top extreme spot given its use of multi-layered, fear-fetching, interactive features – including zombie laser tag, zip line, and a maze cut through 60′ tall Pine trees with clusters of individual haunted houses along an eerily path. Thrillvania Dallas, Texas: This haunt has 50 acres of horror, using a variety of fright to cover the gauntlet. Internationally recognized for its elaborate sets, amazing actors, and over the top special effects. House of Torment Austin, Texas: In 2018 they tripled the horror with three new themed haunted attractions on their horror campus – with fully immersive entertainment to chill visitors down to their bones. The haunt also has laser shows, flying characters, and much more. Beast Kansas City, Missouri: The Beast hails from the producers of the first, commercial haunted house nearly a half century ago. Visitors become disoriented through 4-stories looking for ways to get out and escape the onslaught of beasts. 2018 TOP 4 INNOVATIVE HAUNTED ATTRACTIONS – Wizardry among the the most innovative is mind-blowing with magical illusions and high tech to make everything stunningly realistic. Netherworld Stone Mountain, Georgia: Pioneered the use of high-quality special effect foam and silicone monsters, creating massive moving scares that immerse the customer. Unique and terrifying actors’ stunts coupled with strong story lines are sure to win over haunt critics. 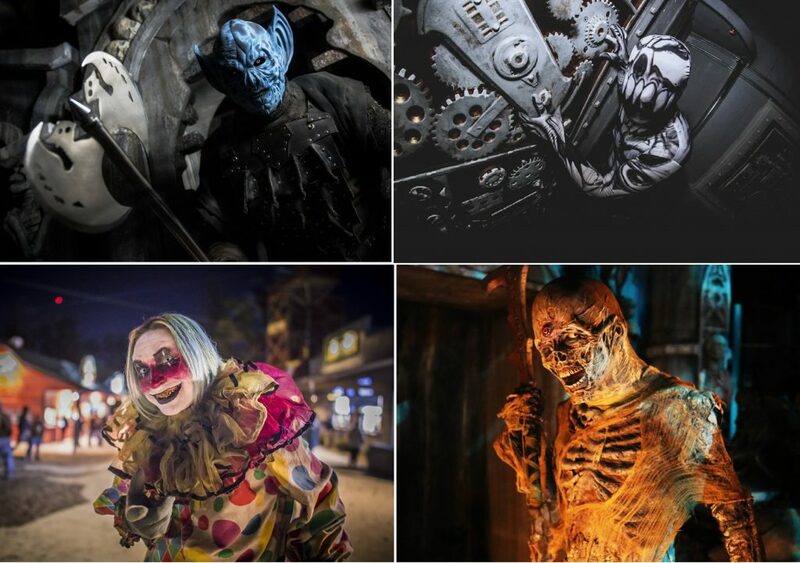 Cutting Edge Fort Worth, Texas: This world-record largest haunted house gets its name for its use of an abandoned meat-packing factory as well as its cutting edge innovation. People often frantically run fearing they’ll end up on a beef hook as live bands intensify the experience. 13th Floor San Antonio, Texas: Visitors get thrills and psychological horror intensified by a pulsating, state-of-the-art sound system at 13th Floor. Their animatronics have built-in technology that can see, hear, and move using responsive controls around its laser lake. 13th Gate Baton Rouge, Louisiana: Known for its ultra-realism and detail, this haunt blurs the lines between nightmares and reality. Forty-thousand square feet in this factory with its CarnEvil, a haunted midway full of twisted sideshows, creepy characters, and more. 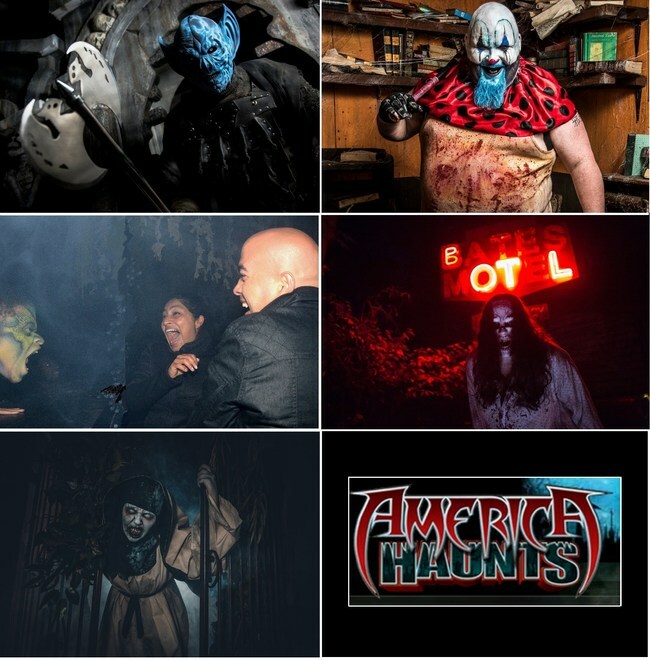 America Haunts is the national association of top-tier haunted attractions dedicated to excellence in fear-based entertainment, thrilling more than a million visitors annually. 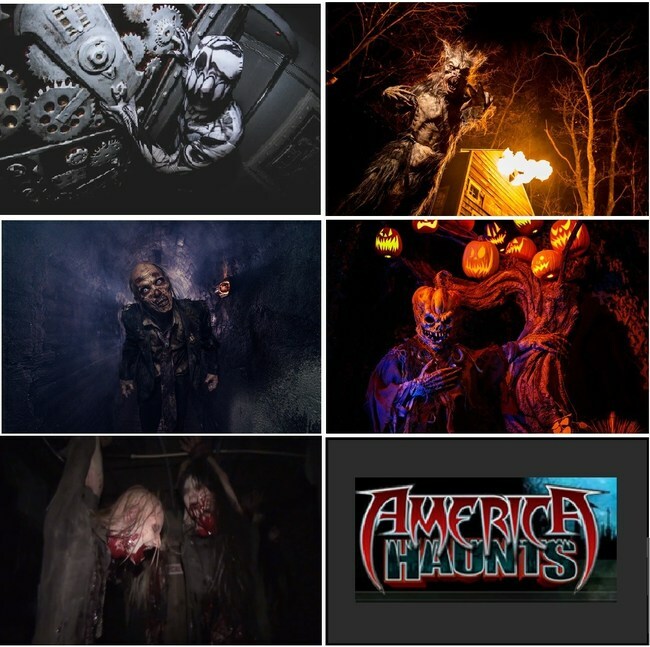 America Haunts’ members are recognized for their longevity in the industry, technical expertise, innovative design, and professional talent who find screams of laughter and fear the best form of applause. AmericaHaunts.com.